Sandalwood is very well located and offers comfortable rooms at very competitive rates, year-round. Average rating 8.4 from 136 reviews. It looks like a large villa, with three floors and an open rooftop painted in various shades of beige and brown. Some rooms have balconies, some views and some neither, so see what they have available on arrival. All rooms are clean and, for the price, very well decked out, with ensuite bathroom and hot shower, air-con, minibar, safe, TV and WiFi. There’s no decor to speak of, but varnished floors and yellow-painted walls create a clean and unfussy effect. The new mattresses are comfortable. The cheaper standard rooms lack views and balconies and aren’t as airy as the larger superior ones but they are similarly well furnished. One or two of the standards lack windows, too. The most expensive deluxe options are the brightest and largest, and have the best views along with balconies. The hotel is perhaps too small to make a rooftop bar worthwhile but views from up top are fine, while their breakfasts get very good reviews. The location is convenient to the jetties, just one block to the west, but the market area is a bit of a walk. Phaung Daw Pyan Street with its selection of eateries is just around the corner. It’s a shame the pricey family room only sleeps three rather than four. There are better deals around than the deluxe rooms but if you can get one of the better standards, or can afford a superior, the Sandalwood is a pretty good all-round deal. 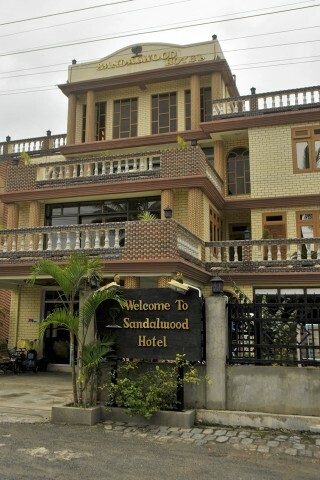 Check rates at Sandalwood Hotel on Booking.com. Room: Family room, low season: US$60, high season US$80. Notes: Sleeps three.